The Roosevelt Museum of Natural History opened its doors in 1867. Among its first specimens was the skull of a seal that had washed up in New York Harbor, begged from its owner by the museum's founder, eight year old Theodore Roosevelt, Jr. Frail, myopic "Teedie," as he was known to his family, seemed an unlikely naturalist. But it was his mind, not his body, that made Roosevelt's precocious entry into the world of natural history anything but child's play. Inquisitive and single-minded, he would pursue his interests in nature relentlessly for the rest of his life -- a pursuit that would impact America's wild places for decades beyond his death. 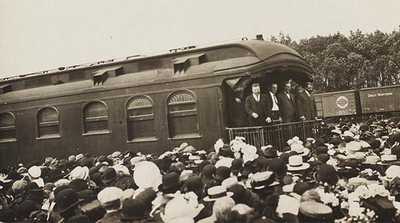 Fueled by Theodore's curiosity, the Roosevelt museum grew. Teedie collected everything within his reach and range of vision, and begged friends and family to bring him any specimens they found. He even paid other children to collect specimens for him. Yet he generously shared his collection. In 1871, he donated several specimens to another fledgling museum -- the American Museum of Natural History, which had been co-founded by his father. The following year, having obtained spectacles to correct his vision and a shotgun to aid in capturing specimens, Theodore traveled with his family to Egypt and Syria, where he collected numerous birds. By then a skilled taxidermist, he skinned and mounted the birds himself. If young Roosevelt's collection methods seemed bloody and cruel, he merely followed the accepted practices of the leading naturalists of the time. Killing was the only way to make extremely accurate observations about the physical characteristics of unfamiliar animals. At Harvard, where he studied natural history, Roosevelt similarly outfitted his off-campus apartment and continued collecting. In 1882, after being elected to the New York State Legislature, Roosevelt donated the bulk of the Roosevelt Museum of Natural History to the Smithsonian Institution. But his interest in the outdoors did not end with the museum's closing. By the mid-1800's, many of the people closest to nature had come to realize that the wilderness could only suffer so much exploitation. Hunters, miners, and timber cutters threatened not only individual species, but entire ecosystems. Fortunately, forward-thinking sportsmen began to organize for the conservation of game and game habitat. Theodore Roosevelt, an avid hunter, joined the fight. Not surprisingly, the organization he helped to found would be among the most influential. 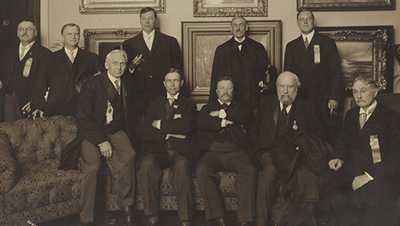 In 1887, Roosevelt and editor George Bird Grinnell of "Forest and Stream" magazine founded the Boone and Crockett Club. In the pages of his magazine, Grinnell had called for scientific forest management, clean water, and restricted use of natural resources-ideas considered quite radical by most Americans. Under Roosevelt and Grinnell, the Boone and Crockett Club would support these concepts, not only promoting the enjoyment of hunting, but the study and preservation of game animals and their habitats. Perhaps none of the club's efforts was more significant than one of their earliest -- the battle for Yellowstone. While Yellowstone had been officially designated a national park, the designation included no provision for its protection from commercial exploitation. When mining and railroad interests threatened to seriously damage the park, Boone and Crockett rose to the defense. With editorials, speaking engagements, and furious lobbying among Washington's rich and powerful, the B & C succeeded. In 1894, President Gover Cleveland signed a bill protecting Yellowstone. While this action alone might have been enough to enshrine Theodore Roosevelt as a Friend to Nature, it represented only a fraction of what he would do to preserve the natural world. Roosevelt's career as a politician/conservationist had only begun. Roosevelt the President is almost universally remembered for his brash foreign policy. Yet Roosevelt the naturalist also lived in the White House. During his tenure, with the same type of bullishness as he exhibited in the international arena, he established a natural empire the like of which the world had never seen. In March, 1903, Roosevelt visited Pelican Island in Florida, a nesting ground for numerous shorebirds. At the time, demand for plumes for women's hats had decimated shorebird populations, and Roosevelt was well aware of the danger of massive extinction. With the stroke of his presidential pen, Roosevelt created Pelican Island Bird Reservation. This was the first, but not by far the last, time Roosevelt would use such power. Before he left office, he would create 50 more such refuges. While his eye for beauty and his love of Nature for Nature's sake helped to drive Roosevelt's conservation efforts, they were motivated by practicality as well. Influenced by early wise-use advocates such as Gifford Pinchot, Roosevelt believed that Nature existed to benefit mankind. In a conserved wilderness, timber could be harvested, sport could be had, water could be taken to irrigate farmland. All of these benefits would be lost if the wilderness were destroyed. Acting on these beliefs, Roosevelt established the federal Reclamation Service in 1902. The agency, through the use of dams and irrigation, created arable land in areas that had been too dry to farm. 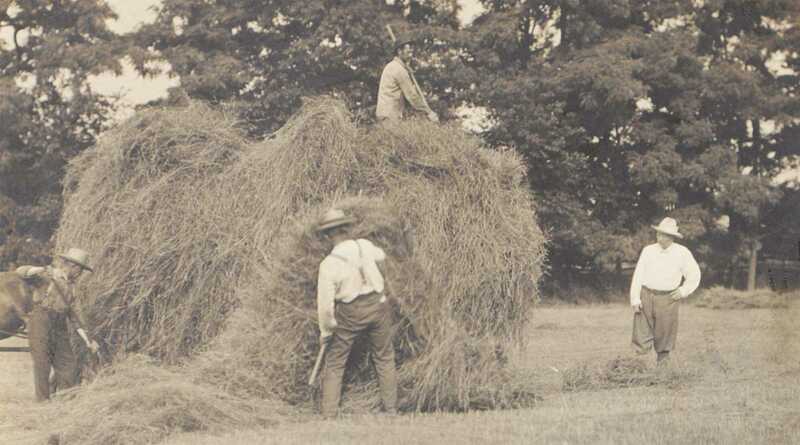 Eventually, the Reclamation Service brought millions of acres of farmland into service. In 1905, Roosevelt created the Bureau of Forestry, with Gifford Pinchot as chief forester. Pinchot believed that timberlands should be managed scientifically, with selected trees harvested and others left to grow, so that rain would not cause excessive soil erosion, runoff, flooding, or water pollution. The timbermen found this idea incompatible with their pocketbooks, and protested vigorously to their representatives in Washington. Bowing to industry pressure, Congress attached a rider to an agricultural appropriations bill that Roosevelt could not avoid signing. The rider limited the president's abilities to set aside Western forest lands for preservation. Roosevelt responded with characteristic panache; before approving the bill, he signed 16 million additional acres of Western forest into federal protection. The timbermen howled louder, but Roosevelt had trumped them again. Year by year, act by act, proclamation by proclamation, Roosevelt built his natural empire. In Alaska, he created the Tongass and the Chugach forest reserves. In Hawaii, he set several small islands aside as the Hawaiian Islands Bird Reservation. Everywhere, it seemed, TR added acreage. Mount Olympus in Washington State. Lake Malheur in Oregon. Culebra Island in Puerto Rico. Mosquito Inlet in Florida. And perhaps his greatest achievement -- Grand Canyon National Monument in Arizona. "I hope you will not have a building of any kind, not a summer cottage, a hotel, or anything else, to mar the wonderful grandeur, sublimity, the great loneliness and beauty of the cañon," Roosevelt said at a speech at the Grand Canyon in 1903. Under the auspices of the Antiquities Act, he signed the Grand Canyon National Monument into being on January 11, 1908. It was the 11th such monument he had created to date. He would create 18 in all, among them Montezuma Castle, Arizona -- Gila Cliff Dwelling, New Mexico -- Devil's Tower, Wyoming -- and Muir Woods, California. No mention of Roosevelt the conservationist would be complete that did not include his friend John Muir. Though Muir, who favored keeping forest lands completely intact, often disagreed with Roosevelt on policy matters, they remained allies and admirers. It was during a memorable camping trip in Yosemite that Muir pressed Roosevelt to add Yosemite Valley and the Mariposa sequoia grove to Yosemite National Park. Roosevelt willingly complied. When Roosevelt left office in 1909, his thoughts again turned to Nature. Under the auspices of the Smithsonian Institution, he led an expedition to Africa to collect specimens. Roosevelt and company bagged 512 animals, keeping about 24 and giving the rest to the Smithsonian, the American Museum of Natural History in New York and the San Francisco Museum. Although his days of pursuit had nearly ended, he would have one more adventure, as he said, "one more chance to be a boy." In 1913, Roosevelt took his last major trek into the wilderness -- this time to the Amazon on an expedition sponsored by the American Museum of Natural History. He and his companions traveled more than 1000 miles on the previously uncharted Rio da Duvida (River of Doubt), collecting 3000 specimens. During the voyage Roosevelt sustained a leg injury which became badly infected and contracted a tropical fever. This marked the beginning of decline for the relentless naturalist, who died without having regained his health on January 6, 1919. "The man should have youth and strength who seeks adventure in the wide, waste spaces of the earth, in the marshes, and among the vast mountain masses, in the northern forests, amid the steaming jungles of the tropics, or on the desert of sand or of snow. He must long greatly for the lonely winds that blow across the wilderness, and for sunrise and sunset over the rim of the empty world." 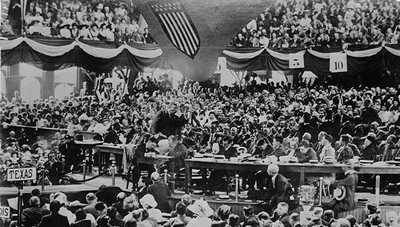 Wounded in the chest by the bullet of a would-be assassin, Progressive Party presidential candidate Theodore Roosevelt delivered one of the most remarkable campaign speeches in American history. Theodore Roosevelt appeared an unlikely candidate for a reform president. He was a best-selling author. He was a big game hunter, a cowboy. There are so many different facets to the life of Theodore Roosevelt that make him a fascinating figure to cover.